The nuclear power plant-cancer link is clear, yet the U.S. Nuclear Regulatory Commission (NRC) continues to cancel important studies and hide vital information from the American public. Every moment your body is undergoing an active process of regeneration, based as it is on the ceaseless flux of cell life and death -- not unlike the dissipative structure of a flame. 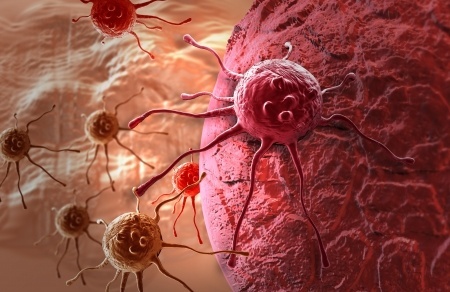 Underscoring this amazing interplay of being and non-being without which life would not be possible, cancer cells are only deadly because they are no longer capable of dying in a well-timed and orderly fashion -- a process of programmed cell death known as apoptosis. A groundbreaking NEJM study reveals that you have up to a 26.9 fold increased risk of heart-related death within one week following a cancer diagnosis (regardless of it's accuracy), indicating the power of one's beliefs is immense. A new study that "reassures" that bras do not cause breast cancer actually supports the bra-cancer link, despite its improper controls and bias. Cancer is the second leading cause of death in the developed world, and yet we are still in the dark ages when it comes to treating and understanding it. With 1 in 5 Americans taking a psychiatric medication, most of whom, long term, we should probably start to learn a bit more about them. In fact, it would have been in the service of true informed consent to have investigated long-term risks before the deluge of these meds seized our population over the past thirty years. Hippocrates - the father of medicine - said, "Let your food be your medicine, and let your medicine be your food." Medicines are a subset of foods, according to Hippocrates. I like that. What are medicines today? What are foods?